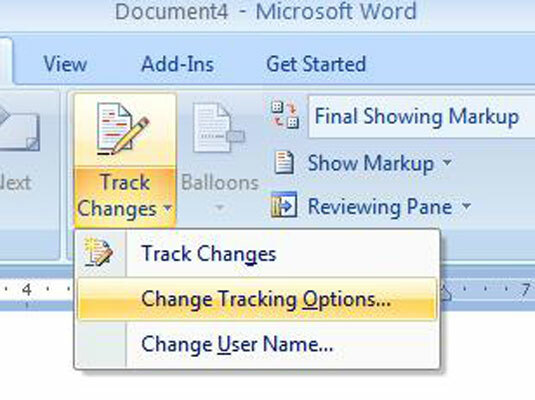 When you use the Word 2007 Track Changes feature to monitor who makes additions and deletions in a document, you can customize Word to show these changes in different ways. 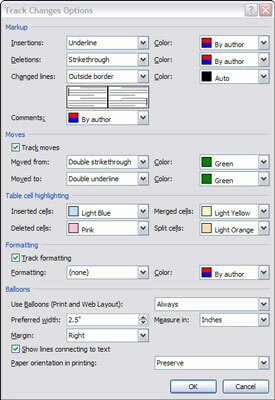 Take advantage of how you can adjust tracked changes to make your document easier to navigate and edit. 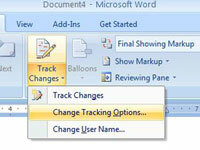 Here’s how to view — and change — how Word 2007 marks tracked changes. You can change the formatting of how insertions, deletions, and moved text look. 1On the Review tab of the Ribbon, in the Tracking group, click the down arrow of the Track Changes button to open the Track Changes menu. 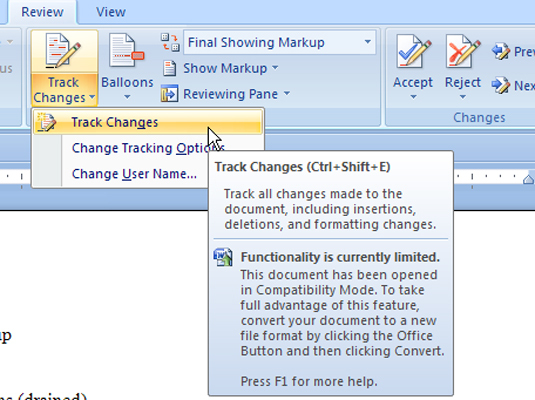 Open the Track Changes Options dialog box from here. 2Choose the Change Track Options menu item. The Track Changes Options dialog box opens. 3Make your preference settings from the options here. You can change the color assignments per author, as well as use of underlining, strikethrough, text color, bold, italic, and other formatting choices for how insertions, deletions, and moved text look.